Welcome to DiceAgeGame.com – a resource dedicated to explaining the rules of various games involving dice. Right now our website already features more than a dozen “how to play” articles for popular games like Craps, Hazard and Sic Bo. The origins of dice, as a rounded cube with numbers of it, are quite uncertain and we did not manage to find any proven historic data of where the first set of these was created. Having that said, the oldest ones were recovered in Iran, as a part of a Backgammon set which, according to scientists, is over 5,000 years old. So lets move on to taking a look at some of the most popular games that are played with dice today. Note that majority of these can be played online completely free. Few of them are known to be among the most popular casino games, so if You’re looking for real money dice games, we will have You covered as well. Casino Craps are amongst the most popular games in brick & mortar casinos, especially across United States. Even though the popularity of this game was starting to neglect, when looking at the last 50 years as a whole, last five years have set it back on the rise and equal to games like Roulette and BlackJack. Casino Craps that is still played today. The only adjustment made to his version, compared to the one that we are playing today, is the addition of “Don’t Pass Line” bet. With technology field advancing at an incredible rate, there are now mobile “apps” made for everything and this also includes Craps. If You’re looking for a simple free-to-play app, the Apple Store or Google Play Store will both have plenty of these. Most online casinos, given that they also offer a mobile version, also have a Craps game in their portfolio. Even though this niche is still developing, You can surely find some applications offering the game in real money mode. Craps is a highly enjoyable game, when playing at land based casinos. You get to hang out with people and if You manage to get a streak of good rolls going, people will definitely cheer for and with You. You are looking to gain from this experience. If it’s all about some adrenaline pumping through veins, online version could be a great fit. On the other hand, if You are after a more glamor experience, where socializing is the main goal, I would suggest traveling to Your nearest casino and playing Craps there instead. Also referred to as “Tai-Sai” and “Big and Small”, Sic Bo is a popular game played with three dice. It originates from ancient Chinese culture and is extremely popular as a gambling game, played across most countries in central Asia. 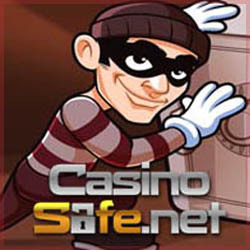 It can also be played online at casinos such as Bet365, who actually offer it in a live dealer variation. Playing experience here matches a real, brick & mortar casino feel, so if You are interested in trying it out online, Bet365 Casino is the place to do it. In essence, the rules and game-play of Sic Bo are extremely simple. The game is somewhat similar to Craps, but differentiates itself by using three dice and being a strict game of chance. That means that no bets are rolled over and players determine whether they have won or lost after every dice roll made. To learn more about this game, read our article on Sic Bo. That’s where we take a more in-depth look on history and possible bet types in this game. BitCoin, the alternative currency option, is likely to be one of the hottest, most talked about things in the recent years. Currencies skyrocketing popularity has opened doors for multiple niches in this industry, one of whom is games of chance that can be played for BitCoin. Playing BitCoin dice could not be much simpler, as the whole game is really just based on making a prediction of whether the number rolled will be higher or lower than a random one of Your choice. It’s somewhat similar to betting over/under on sports, but even simpler than that. There are now a few dozen sites offering this game for play, either in free mode or for BitCoins. It’s believed that SatoshiDice were the first ones that sort of took an idea to reality and made this one of the most popular dice games in the last couple of years. You would have a hard problem finding someone that has not heard or played one of world’s most popular dice table games – Monopoly. The game was first brought to life in 1905, but was officially published more than thirty years later, in 1935. Monopoly is known as a fun banking game that is usually played between friends or family. game manufacturers, such as IGT, have created Monopoly themed slot machines. While this is not a typical dice game, a pair is still used and rolled before every single turn. Learn more about it including rules and gameplay in our Monopoly section. This used to be a way more complicated variation of Craps, very popular in 17th and 18th century. Although it actually works the other way around, as Casino Craps is a simplified variation of Hazard. This game is also played using two dice and only one person is in charge of rolling the dice in any given turn. It’s fair to say that the game of Hazard has lost its popularity and is now only played by enthusiasts. If You are one of these, I’d suggest taking a look at our Hazard page where You will find a brief history, rules and common phrases used in the game.